Nine will be hoping for a J-Curve for its new panel show The Verdict. The term represents shows that start well then drop away suddenly after curiosity is over, slowly rebuilding bit by bit to a sustainable crowd. Gogglebox won the timeslot with 682,000, just ahead of Surveillance Oz: Dashcam on 660,000. Elsewhere ABC’s failed experiment with Please Like Me pushed out to 10pm now has the show back to where it was at 9:30pm, on just 131,000. It has reruns in the same timeslot on its comedy night on Wednesday. There was better news for Nine with the daytime First Test cricket, up to 685,000 in one session ahead of Seven’s Melbourne Cup Carnival: Oaks on a rather damp 168,000. 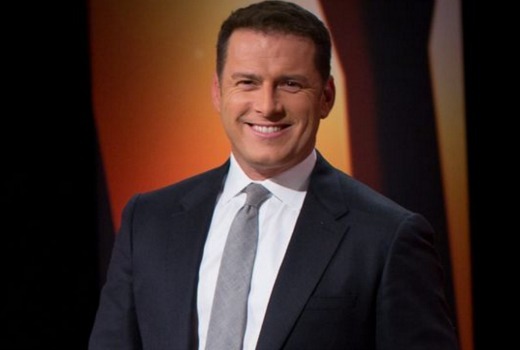 Seven network won the night with 28.2% then Nine 26.2%, TEN 21.8%, ABC 17.6% and SBS 6.1%. Seven News (1.04m / 1.02m) was best for Seven then Home and Away (739,000), Surveillance Oz: Dashcam (660,000), Mighty Cruise Ships (617,000), The Chase (549,000) and Car Crash TV (426,000 / 336,000). The Amazing Race was only 138,000. Nine News (1.05m / 985,000) led for Nine then A Current Affair (943,000) and RBT (842,000 / 746,000). The Verdict was 387,000 and I Am Innocent was just 249,000. Gogglebox won its timeslot with 682,000 for TEN. Jamie’s Super Food was 629,000, The Project was 544,000 / 393,000, TEN Eyewitness News was 515,000. Comedy Megastars with Joel Creasey was 361,000. On ABC it was ABC News (823,000), 7:30 (634,000), The Chaser’s Media Circus (527,000), Sherlock (378,000). Please Like Me was just 131,000. Shane Delia’s Moorish Spice Journey (197,000), Italy Unpacked (191,000), Destination Flavour Japan (175,000) and SBS World News (126,000) comprised SBS’ evening. 7TWO’s Doc Martin (291,000) topped multichannels. I loved the first 2 seasons of Please Like Me and re-watch then regulary. Season 3 is awful. It seems to be more commercial and predictable. Also it’s just awkward hearing Josh constantly announcing he’s a top. I heard it the first time. The Verdict from viewers is get that rubbish off our screens. Totally agree andrewb. I don’t watch the Block but the gogglebox families nailed how ridiculous the show was. I couldn’t believe they made the contestants cook – it is a renovation show right? I’ve noticed Jamie Oliver has had a bit of a win with the current series when it comes to ratings. I was going to comment last week, but didn’t. Usually Thursday is rather slow for 10, especially when Jamie specials are in the mix. Probably on the back of the The Bachelorette success, Gogglebox following and the topic being being healthy have captured viewers interest. Good on 10 for not giving up on him. I watched bits and pieces of the show last night and enjoyed it. The Verdict was only commissioned for six eps. What I am surprised about is that Nine have openly announced it as part of the 2016 line up. Is one of the Nine failures for this year and doubt it will see light of day next year. Not sure about that with regards to gogglebox. There’s something to be said with overdoing something. I works once a week but wouldn’t watch it every night. Also big classification problems at that hour. Completely agree – 1 hour per week is enough. I know it’s been mentioned before but I think Family Feud at 7pm instead of 6 would rate well for Ten – possibly another 100k+ or so would watch at a time its not clashing with 6pm news. Project 6-7. Ten need some thing to make them competitive between 6-7.30pm. That has to be one of the more bizarre suggestions that anyone could come up with. Airing Gogglebox at 6.30 and besides it will be an overload. Ten wouldn’t be able to screen it that earlier potentially due to their arrangement with Foxtel and the classifications. With the rumour (not likely to happen) about The Project, its already been tried and fail miserably. Its not good if they keep changing the slots! Ten are competitive at 6-7.30 which has been tried and failed on quite a few occasions and now yous want to change that. Give me a break! The Project has been running for many years now and it really has not grown the 6.30-7pm time slot. The figures speak for themselves and l feel Ten need to look at other ideas. I have to disagree. A lot of the fun is knowing the characters and it’s almost like you have a connection with them. You loose that if you have a rotating cast. First time watching Gogglebox and I actually quite liked it. Casting has been mostly excellent. I was saddened during Googlebox with the Andrew Denton/Euthanasia segment. Very emotional viewing. Also a little bit annoyed that they showed some of A place to Call Home, just rubs salt into my wounds that it’s not on FTA anymore as not all of us can afford Foxtel. I agree that it was the wrong week for them to put a place to call home on gogglebox. I agree that it does rub salt in viewers wounds that its not on free to air. It also gave away a plotline for a viewer that hadn’t seen it yet and might be waiting for the dvd release. I think it would’ve been better to do a gogglebox of the first episode of season 3 or the last episode of season 2 with the changes they made to lead into season 3. Gogglebox will always be at some risk of giving away storylines. Viewers have to make a calculated decision when buying into the show. You can always hit mute for a few minutes as the title is always flagged at the top of each segment. “Last week we sat down to watch” etc. I agree you can skip segments as I did with the block but that was never going to happen with me and a place to call home. I had to see what was happening with the series even if it was a spoiler. Other viewers may not want to which is why I do think that a drama on foxtel should be treated differently on gogglebox than one on fta. A fta drama is available for anyone to watch whilst a foxtel simply isn’t and maybe the foxtel one’s need to be a bit more careful what they air. Plus a place to call home being on foxtel is a sore spot for lots of viewers. It’s not a spoiler if it has screened. You have the chance to watch it a couple of times and on Foxtel Go before it’s covered by Gogglebox. Why didn’t you watch that show and timeshift Gogglebox? I don’t know how you expect me to watch a place to call home when I don’t have foxtel. That’s why I’ve said you have to tread carefully with foxtel dramas because its not available on free to air. In particular you have to tread carefully with a place to call home because it had a bigger fta audience than it has on foxtel and there may be viewers who are waiting for the dvd. Please Like Me just is not funny in the least this season and last nights episode was just extremely dull…. Its all in the eye of the beholder!. I love Please Like Me and it continues to be my standout show of the year. It may not be laugh out loud funny, but it quirkiness and great characters will get me involved every time I watch it. I definitely feel that the show has grown from season to season and thank god for Pivots involvement, as I am sure that the ABC would have passed on it a long time ago. It’s definitely my 2 cents worth of ABC funding spent well! I have to confess that I laughed several times during last week’s episode (Gina Riley was brilliant), but not last night’s, which didn’t seem to have a point. I suspect David is now going to quote me on the above! Agree that last night’s ep of Please Like me was a little dull… perhaps because Hannah and Josh’s mum didn’t feature much at all last night. They are my two favourite characters. But overall, I really enjoy the pathos and quirkiness of the show. I really love Please Like Me. I don’t think it’s always meant to be laugh out loud funny, there is so much more to it than that. I find it to be quirky, different and clever and tackles real life issues that you really don’t get to see much of in other Australian TV. It’s a pity it doesn’t rate higher as I think it’s a quality show. I really hope it continues after this season. I also really enjoyed this weeks episode, and did actually find it quite a funny. Gogglebox was good last night. Watched it all except for the block segment. Have no interest in the block and don’t want to watch people watch the block. I think they had a good variety of shows and it was only one reality segment which I didn’t watch anyway. The robust discussion when it came with the euthanasia segment just highlighted how difficult a topic that is. I feel much the same about the Block these days but Goggle Box absolutely hammered the Block – comments about too many episodes, too many to fill, we only want to see renovation, not cooking, doing my block in, etc etc! Was the best bit!